Onyx is a semi-precious variety of agate that is black or black with white bands. Onyx with even layers of black and white can be carved into cameos. Onyx which is reddish brown and white is called sardonyx. The ancient Greeks and Romans used onyx for cameos and seals. It was mentioned in the Bible as one of 12 stones adorning the breastplate of high priests. 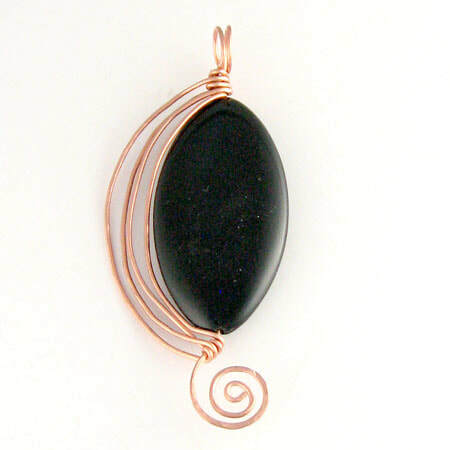 In the Middle East, onyx was used as a worry stone because it was believed onyx absorbed negative energy. Onyx is thought to fortify self-confidence and sharpen your senses. Care: Protect onyx from scratches, sharp blows, harsh chemicals and extreme temperatures. Clean with mild dish soap; use a soft toothbrush to scrub behind the stone where dust and dirt can gather. 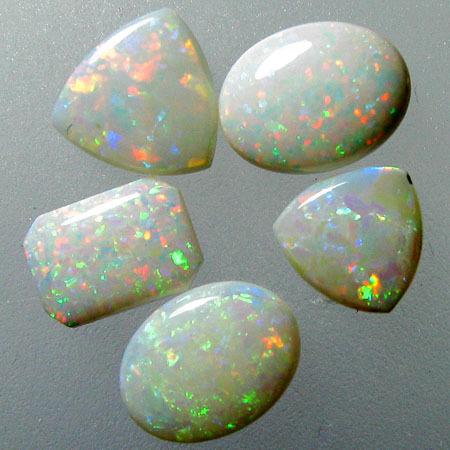 Opal is renowned for its play-of-color - the shifting of spectral colors. Depending on the stone, you may see flashes of red, blue, yellow, or green. The more brilliant the play-of-color; the more valuable the stone. The opal we're most familiar with, referred to as white or light opal, is an off-white, translucent stone with a play-of-color. Before 1829, light opals were considered to bring good fortune. However, after the publication of Sir Walter Scott's novel Anne of Gerstien, in which she died after a few drops of holy water were sprinkled on her opal, people became convinced opals were unlucky and stopped buying them. As a result, the opal market crashed. Queen Victoria helped the opal regain its popularity. She wore it during her reign and frequently gave opal jewelry to her children and friends. For information about other types of opals and about caring for opals, scroll down. Black opal has a play-of-color against a dark background. It was first discovered in Australia in 1903 and is still the rarest form of opal. The Lightening Ridge field in New South Wales produces the majority of high-quality black opal. Boulder opal is opal still attached to the rock (usually ironstone) in which it was found. Opals are fairly delicate. Don't wear them while doing housework, gardening or engaging in sports. Avoid getting hair spray, perfume or makeup on them. Clean them in lukewarm water with mild soap and a soft cloth. If you have opal doublets or triplets, don't submerge them in water. An opal doublet is formed when a thin slice of quality opal is cemented to another material usually potch, glass or ironstone. They often resemble black opals. An opal triplet is formed when a thin slice of precious opal is cemented to a darkened common opal, glass or porcelain. A dome of clear quartz is then cemented to the precious opal with a clear resin. An opal doublet contains more opal than an opal triplet and is thus more expensive. Fire opal is a transparent to translucent opal with a red, orange, yellow or brownish body and can be with or without a play-of-color. The most valued has a reddish orange transparent body with a distinctive play-of-color. 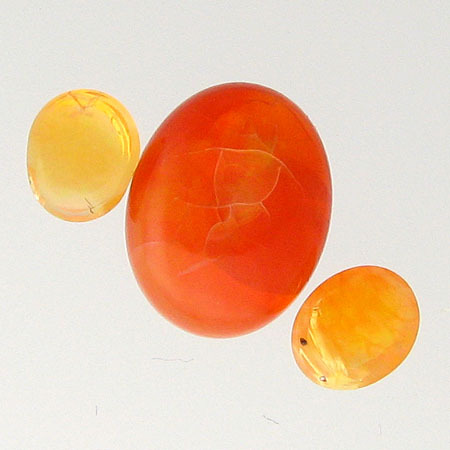 The majority of fire opal comes from Mexico. Matrix opal refers to opal that forms lines or spots mixed in the stone (matrix) in which it was found. Peruvian opals, mined in the Andes, can be found in two colors: blue and pink. Peruvian blue opals are relatively rare. Their color can range from slightly blue to blue-green. 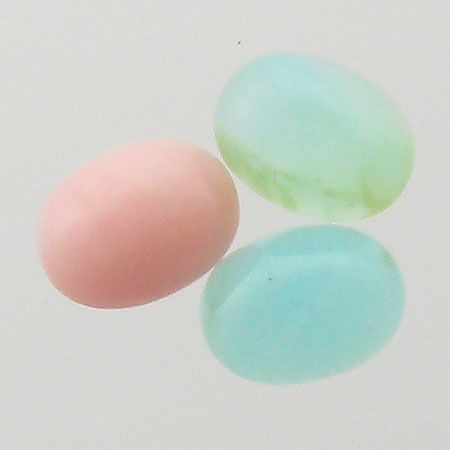 These opals are semi-opaque to opaque and do not have play-of-color. It is thought that blue opals can quiet the mind and help with sleep problems. It is believed they promote tranquility and nurturing. Peruvian pink opals are a very feminine, soft pink. These opals are semi-opaque to opaque and do not have play-of-color. It is believed pink opals bring peace and tranquility.